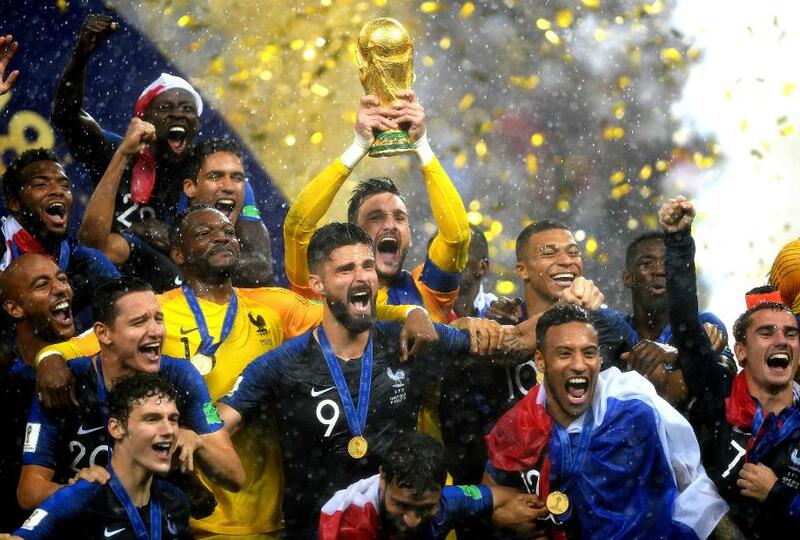 Paul Pogba and Hugo Lloris wrote themselves into history as France beat Croatia 4-2 to win the 2018 FIFA World Cup. The strike from Pogba to make it 3-1 was the first goal in a World Cup final by a Manchester United player and the first by a Premier League player since Pogba's compatriot Emmanuel Petit found the net in 1998. Tottenham Hotspur goalkeeper Lloris became the first Premier League player to lift the trophy as the winning captain. In total, five Premier League players can claim to be 2018 world champions, with Chelsea’s N’Golo Kante and Olivier Giroud starting for France and Manchester City’s Benjamin Mendy also in Didier Deschamps's squad. There was disappointment for Croatia and Liverpool defender Dejan Lovren. Harry Kane claimed the Golden Boot for his six goals for England, while Chelsea and Belgium goalkeeper Thibaut Courtois won the Golden Glove.